If you're new to gardening, you might not know that strawberries need to be planted in a certain way to grow. They are mostly needed to be hung in some sort of tower or above the ground. In this video, you'll not only learn the correct way of growing strawberries in your own backyard, but you'll also be able to do it in such a way that is perfect for off grid life. This is one tutorial that will definitely come in handy. You won't believe how easy it is to make this herb tower with as little as $20. 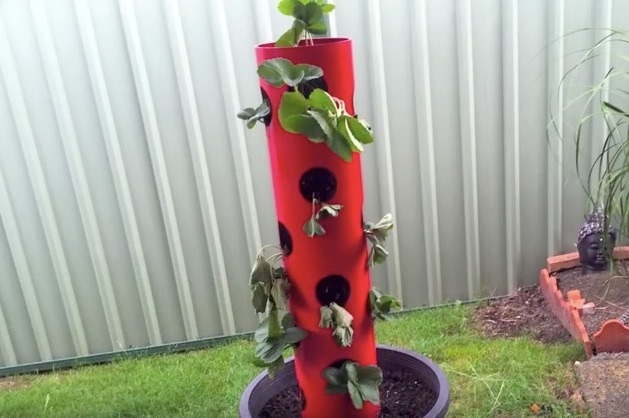 Check out the next page to find out how to make your own strawberry herb tower for an off grid garden!